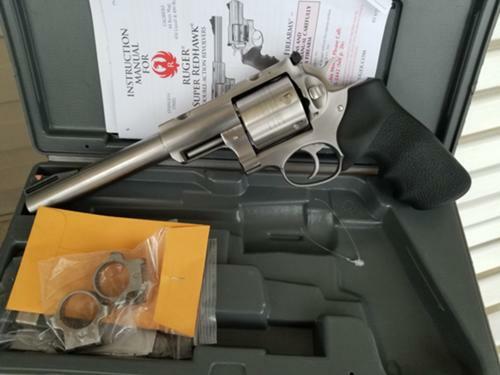 For Sale: Ruger Super Redhawk 454 Casull-45 Colt. 7 1/2" barrel, stainless, Hogue factory grips, box and paperwork, rings. As new, unfired except at the factory. I'm in Shermansdale. PA.